Send me exclusive offers and promotions. 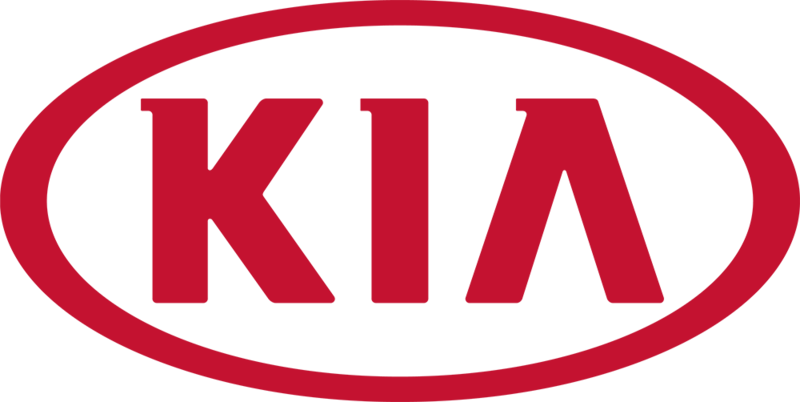 View DisclaimerBy submitting your email address or phone number, you allow us, Kia of Newmarket, to include you on our contact lists to send you information about our products, services and promotions. You may revoke consent at any time by clicking on the "Unsubscribe" link in your email. Disclaimer: Offer(s) available on select new 2018/2019 models through participating dealers to qualified retail customers, on approved credit, who take delivery from March 1 and 31, 2019. All pricing and payments include delivery and destination fees up to $1,785, $10 OMVIC fee, $29 tire fee and $100 A/C charge (where applicable). Excludes other taxes, paint charges ($200, where applicable), licensing, PPSA, registration, insurance, variable dealer administration fees, fuel-fill charges up to $100. Dealers may sell or lease for less. Some conditions apply. See your Kia dealer for complete details. Vehicles shown may include optional accessories and upgrades available at extra cost. All offers are subject to change without notice. Ω Celebration Bonus/Car of the Year Bonus is available on the purchase or lease of a qualifying new and unregistered model from an authorized Kia dealer in Canada between March 1 and 31, 2019. Celebration Bonus/Car of the Year Bonus of $1,000 is available on the models as follows: 2019 Forte, 2019 Soul, 2019 Sportage, 2019 Sorento, 2019 Stinger, and 2018 Stinger. Celebration Bonus/Canadian Car of the Year Bonus is combinable with other retail incentives and will be deducted from the negotiated price before taxes. No cash surrender value and cannot be applied to past transactions. Some restrictions apply. Offer is subject to change without notice. Φ Financing is available on select new models to qualified customers on approved credit (OAC). Representative Financing Example: Finance a new 2019 Sorento LX FWD (SR75AK)/2019 Optima LX AT (OP741K)/2019 Sedona L (SD751K) with a selling price of $29,219/$26,619/$30,419 at 0.99%/1.99%/1.99% for 84/84/84 months for a total of 364/364/364 weekly payments of $75/$70/$79 with $2,925/$2,925/$3,450 down payment. Payment amount includes $1,000/$0/$0 bonus. Cost of borrowing is $919/$1,684/$1,917. *Lease offer is only available on select new models to qualified customers on approved credit. Representative Leasing Example: Lease offer available on approved credit (OAC), on new 2019 Sportage LX FWD (SP751K)/2019 Forte LX IVT (FO842K)/2019 Soul LX (SO752K) with a selling price of $27,219/$20,769/$22,019 is based on a total number of 260/208/208 weekly payments of $64/$49/$51 for 60/48/48 months at 3.49%/2.99%/1.99% with $0 security deposit, $2,825/$2,155/$1,995 down payment and first payment due at lease inception. Offer includes $1,000 Bonus. Total lease obligation is $16,510/$10,262/$10,701 with the option to purchase at the end of the term for $9,785/$8,914/$9,451. Lease has 16,000 km/yr allowance (other packages available and $0.12/km for excess kilometres). † Cash Purchase Price for the new model 2018 Stinger GT (ST752J)/2019 Niro L (NH65AK) is $42,119/$26,669 and includes $4,000/$750 cash discount. Cash discount varies by model and trim and is deducted from the negotiated selling price before taxes. ‡Model shown Manufacturer Suggested Retail Price for 2019 Forte EX Limited (FO847K)/2019 Sorento SXL Limited (SR75KK)/2019 Sportage SX Turbo AWD (SP757K)/2019 Sedona SXL+ (SD757K)/2019 Soul SX Turbo Tech (SO85DK)/2018 Stinger GT Limited (ST753J)/ Optima SXL Turbo 2019 (OP747K)/ 2019 Niro SX Touring (NH65DK) is $28,065/$49,165/$39,595/$47,865/$30,095/$49,995/$38,845/$33,495.